Have you ever thought about the first taco? It’s safe to assume the menu item originated in Mexico as the taco is a staple of authentic and American-Mexican cuisine. But who had the thought of wrapping a tortilla case around an arsenal of seasoned meat and accompanying toppings? Jeffrey M. Pilcher, professor of history at the University of Minnesota, has spent his career traveling around the world and eating tacos. We know what you’re thinking: “I’ve missed my calling.” Pilcher’s studies of Mexican food have led him to a reputable conclusion about the birth and rise of the taco and it starts with Mexican silver miners, and includes the “local” eatery, Taco Bell. Mr. Pilcher’s theory dates back to 18th century silver mines in Mexico where the word “taco,” referred to a small device used by miners to unearth the metal. These “tacos” were capsules of gunpowder encased in a paper wrapping that were inserted into openings in the rock’s surface. The flavor explosion you experience when you eat a taco will now take on a whole new meaning, won’t it? The mining inspired food item “blew up” (see what we did there) with the rise of Mexican taquerías. These local eateries existed in working-class neighborhoods and as Industrialization brought people near and far to Mexico City, they came with their cooking skills. In the early 20th century, Mexican influence made its way to the United States as migrant workers followed jobs. Now, when you think of the taco, Taco Bell is probably not far from your mind. While Mr. Bell did not invent the taco, the franchise model no doubt broadened the horizons of this Mexican dish in the United States. 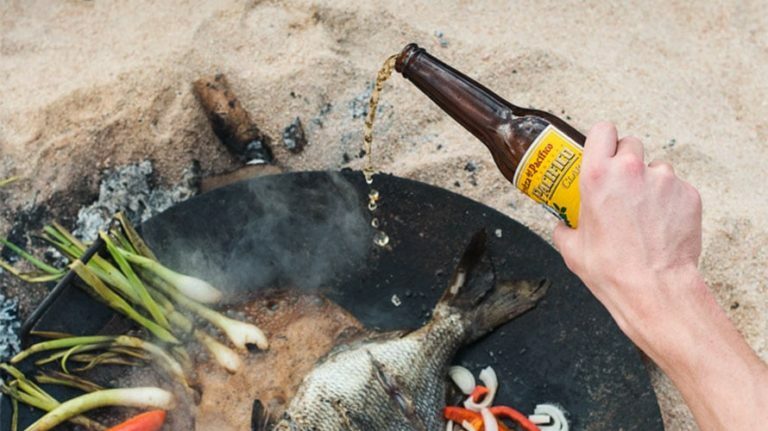 From miners, to working-class neighbors, to immigrants following hard work, the fighting spirit of Mexican culture remains signature and has left its fingerprint on authentic and Mexican inspired food and beverage today. Modelo Especial is a beer brewed with the Fighting spirit since 1925. 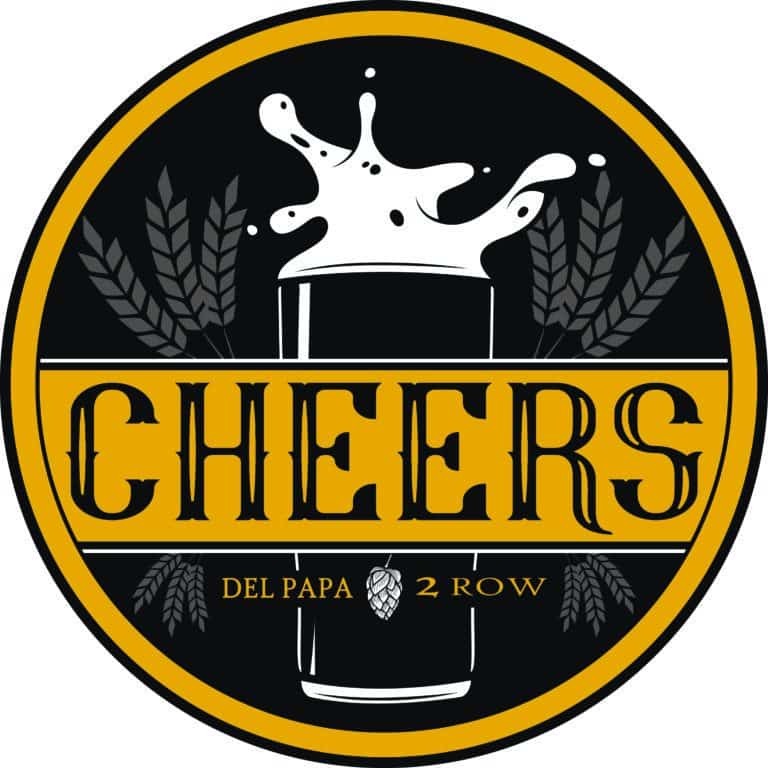 It is brewed with time, effort, and determination to create the model Mexican lager. Everyone knows that hard work deserves a fitting reward – a Pilsner-style Lager with a clean, crisp taste. 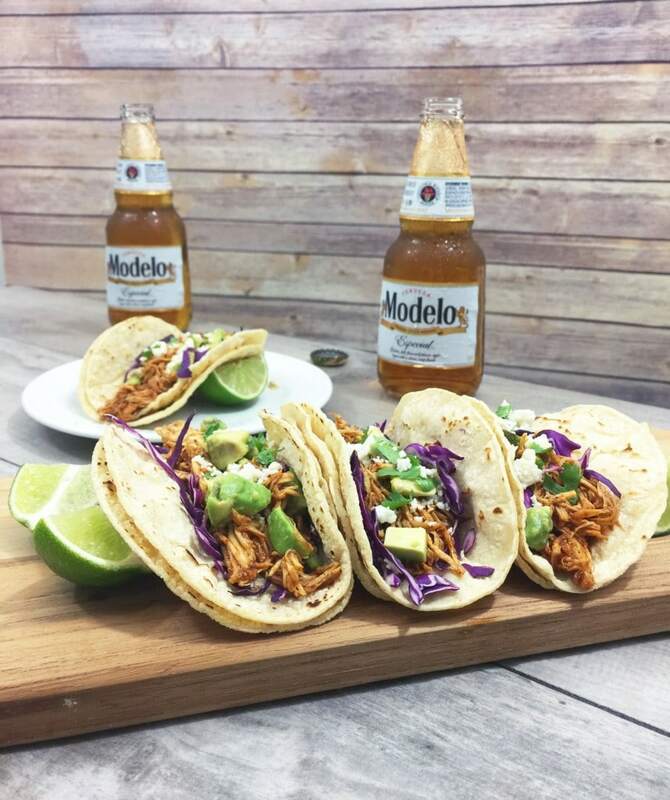 Reward yourself for all of your hard work with these Modelo and Chipotle Beer Braised Tacos and be inspired by the fighting spirit. Step 1: Add the fire roaster tomatoes, chipotle chile peppers in adobo sauce, oregano, cumin, chili powder and 1/2 cup of Modelo beer to a food processor. Pulse a few times until the all ingredients are well combined. Step 2: Place chicken in the crockpot or slow cooker and add the tomato and chipotle mixture. Cook on Low for 3 hours. Step 3: Remove chicken from slow cooker and shred using 2 forks. Step 4: Heat one tablespoon of olive oil in a large pan, add onion and garlic and cook until onion is translucent. 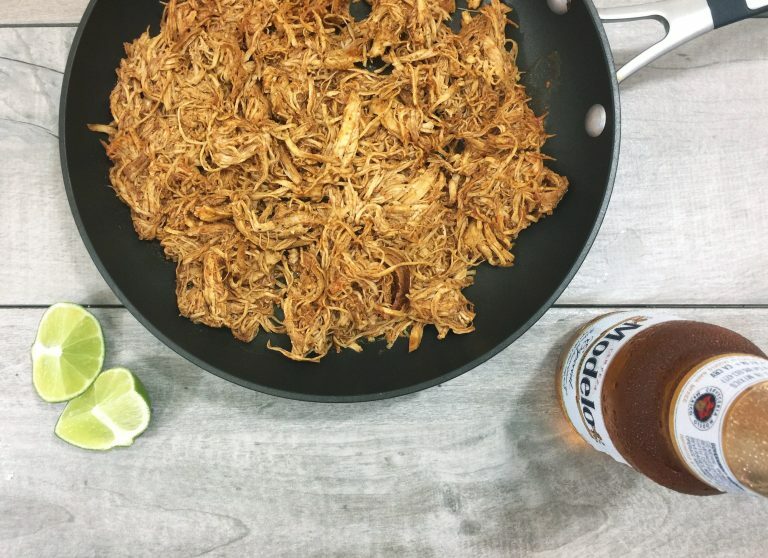 Step 5: Add chicken to the pan along with remaining 1/4 cup of Modelo beer. Simmer for 30 minutes to 45 minutes or until most of the liquid has evaporated. Step 6: Warm the tortillas by heating a medium frying pan over medium-high heat. Add 1 tortilla at a time, flipping to warm both sides. Step 7: Add chicken, slaw, avocado, fresh cilantro, crumbled queso fresco and a squeeze of lime to each tortilla. Who Has the Best Crawfish on the Mainland? To honor the season and the eateries that bring us the best of the best when it comes to these flavorful tails, we are letting YOU choose: Who has the best crawfish on the mainland?